The game that I’m about to talk, is without a doubt, one of the most successful football management simulation game in the whole world, and it all started way back in 1992. In 1992, this football simulation game started with the name, Championship Manager created by two brothers under the name of Sports Interactive and published by Eidos. In 2003, Sports Interactive split with Eidos, retained the game’s match engine, database, and changed its name into Football Manager. Slowly but sure, Football Manager sets their feet deeply and claim back their right to become the most popular football management simulation game. Football Manager set their feet on handheld device back on 2006, when they released Football Manager Handheld (FMH) on PSP. Of course they designed the game separately due to the different playing experience in handheld console. However as if Sports Interactive wants to expand more with this business line, FMH was entering mobile products, started with iOS back in 2010, continued with Android in April 2012. Finally in 2016, FMH was being renamed and released to both iOS and Android devices with the name Football Manager Mobile 2016. Like any football sim management games would offer, FMM2016 also offers the same thing. You will start your career as the manager of any football team you want. And since FMM2016 is a premium game, there is no limitation for the team that you want to manage. It’s all available for you, the whole squad, complete with their staffs and boards. 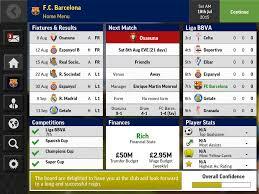 Inside the game, you will be able to do many things that most Football Manager players would be familiar with. From players management, up to managing board confidence, from players training, up to finding most suitable tactic for the team. From the skin side, in a glance, FMM2016 would look just like many other football sim games. However, once you’re inside the game, you will then start to realize the differences in quality this game has, compared to another similar game. There are many small details that’s being given by the game, giving a more realistic feeling of being a manager. There are several things that you can cover in FMM2016. The news There are several things that you can cover in FMM2016. The news section, club section, manager section, competition section, and player search section. Before all these sections though, there are three modes of game that’s available to choose from. The first one is the normal mode. 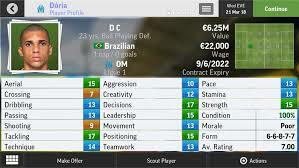 In this normal mode, you’ll be able to play normally like any football management sim games. You will be able to choose four countries and most of the players will be populated from the countries that you choose. Meaning, if you don’t unlock Brazilian League, only famous Brazilian league players will be populated while some unknown but probably potential players won’t be populated. The second one is the my club mode. In this mode, after you’re choosing the countries and all the data that follows after, you will have to choose the club that you want to use as template. Then, with this club, you will have choice to retain the players, release the players to the market, or delete the players so no one will be able to get them. Whatever your choices are, you can add your own fantasy players inside your team and compete with other world class players. And yes, you can be sort of superstar in just age 16. The third one is the challenge mode. You will start by choosing the challenge you want to try. There are various challenge starting from club that hits with injury issue, up to club that want to maintain their winning record. Either way, it all brings the fun playing FMM2016 even higher. The first four league’s country that you choose will decide how your news section will be looked like. If you choose Germany as your first country, then your news section mostly will be talking about German competition. From the lowest league result until its cup competition will be flooding your news section. In this section also some other news like transfer rumors, players happiness, contract status, there are also news from International Team fixtures, media speculation about somebody’s job status, also report from inside your team like scout report, injury, next fixture report, etc. The next section in the game is the club section. In this section lies everything related to the club. That’s including all the players, tactics, staffs, training, finance, division, fixtures. The division will tells you the current position of your team as well as players stats that will tell you who is the best performer, the top scorer, or top assister. In finance section you can adjust your budget, decreasing wage or increasing transfer budget and vice versa. You can also set the training menu for your players inside the training section. The training menu itself including General, Attacking, Defending, Technical, and Fitness. Each menu will affect player’s abilities and performance. Fixtures section will let you know your next opponent, so you could send your second team for your next match if your next two opponents is for example Chelsea or Bayern. In staff section, you will be able to manage your staffs, ask them to take coaching exam to upgrade them, sack them off, or even promote their position into your assistant manager. These last two sections are the most visited sections beside the news section. Tactics section will always be visited right before your match. In this section you will manage the tactic that you will be using inside the match, the starting line-up, subs, players roles, and team instructions. There are more than 15 roles available for the players, defined personally for each position. Meaning, Inside Forward role will only be available for players that are playing in Attacking Midfielder position. On the other hand, Limited Defender won’t be available to those who are playing in Forward position. Beside deciding for each player roles, you will also have to be decisive on how your team will be playing for your next match. This decision will have to be implemented on your Team Instructions section. 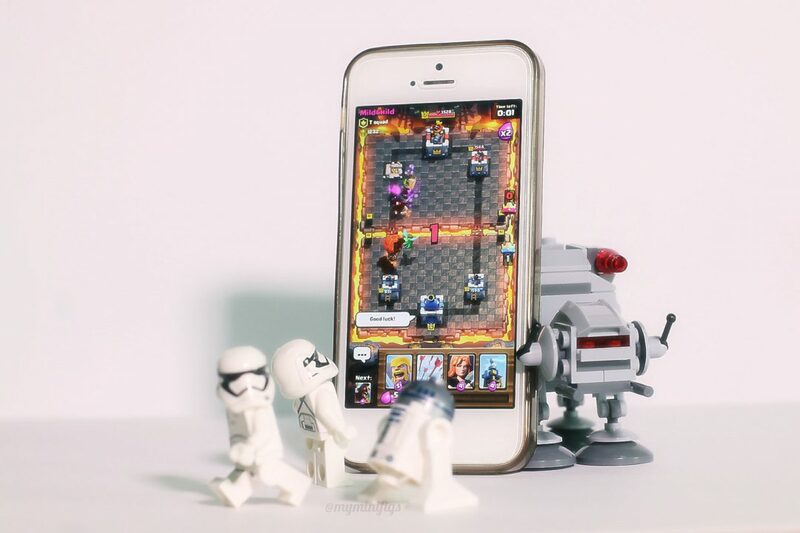 Will you be Defensive or Attacking? Which side do you want to focus your attack on, both flanks? Center? Or Mixed? What passing style are you’re going to use. All of this thing plus you will have to decide who will take on responsibility as the primary outlet, or who is the main attacker? These are all yours to decide. Now let’s talk about the players. Also like many other football sim games, players in FMM2016 are too, have stats and abilities. They are divided into three categories, something that I believe have been implemented long time ago back in the early Championship Manager game. The technical abilities, mental abilities, and physical abilities. Technical includes skills that the players will use to beat others like Shooting, Tackling, Dribbling, or Aerial. Mentality is what separating middle class players to the world class players. World Class players are usually have better mental abilities compared to regular players. This also acts as a hint that could be used if you’re looking for potential young players. Physical abilities is just the pace, stamina, and strength of the players. That aside, FMM2016 has put this so-called ‘player preferable roles’. Which means that this player is most suitable when he’s being given certain role. Usually, their ability will also be reflected from their preferable role as well. From player’s role, comes several traits that’s connected with his role. Traits are some unique sets of skill that becomes a trademark of a player. The most visible trademark is when a player decide to shoot with power or do a placed shot. This is an example of players trait. Almost all players have their own traits creating a different experience having a player or another in your team. On top of it, players also have their own personality as well. Players will have their own favored personnel (usually their manager) and how their current feeling inside the squad. Morale plays a big part in players performance. Losing or having bad result from other team will decrease players morale that can only be cured by winning and winning. Not only that, player sometimes would also collide with other player, resulting a strain in their relationship. This usually also affect players performance if they’re being put together. Unsettled players also plays part in team’s overall performance. This needs to be taken into account if you want to build a good team. The other section for a player is just their contract status, their history, some stats, and also coach report. I usually rely on my scout team to decide if a player has enough ability to play on my team, so I send scout before signing a player. The last section of player page will show you if this player is up to the club’s standard. The next section is the manager section. In this section, you will be able to view all manager-related options. That includes options for leaving friendly matches and loan policy to your Assistant Manager, your profile, your competition history, trophy cabinet, or perhaps you’re tired and want to just take some holiday. You can also do board-related things in this section. You can view your board confidence and also do some request for transfer/wage budget, extra time rebuild squad, expanding stadium, or improve training facilities. This is I believe, is the most favorite part of all players who play sim games. This section is also optimized really well by FMM2016, and I’ll tell you why I told you so. So first, again, like any other football manager simulation game, you will have the ability to search players, put them into shortlist, have scout results, compare players. However, despite being similar, FMM2016 has additional feature inside its advanced search. With FMM2016, you can use the main attributes of players from your own team, shortlist, or famous players as the template. From this template, you can then search for similar players that share the same main attributes. This is very useful to search players with the same role. The new thing from FMM2016 is the feature called Scouting Agency. Within this feature you will have four pages that will be updated monthly and can be filtered based on your country or worldwide. At the first page, we have Senior Rankings that will list all unaffordable famous players. On the next page, we have the Wonderkids Ranking. This list will enlist all hot prospect players that you will want to scout for. On the next page and the next page after, you will have Hot and Cold Form List. Hot Form List will contains players with fantastic form for that month, while Cold Form List will enlist otherwise. On this section, lies all the other things like game preferences, manual book, save options, and back to main menu option. There are also some IAPs in this game that can be bought with real money. These IAPs however, can be unlocked manually by spending some more time with the game. I will try to explain to you all the guide to unlock most of the IAPs, later. In this section also, you’d be able to save your progress and put it on iCloud. So imagine this, you’re playing in your iPhone, then a low battery pop-up is showing. With this iCloud save feature, you can now save your progress, take your other device, and load it from there. Now you can play more, spend time more, and do nothing longer. FMM2016 comes with heaps of content. Just like what I’ve explained just now, it comes really with a lot of things. Starting from small detail like putting scouting agency or advanced search using template from other players, up to the various match engine that’s using a really complex algorithm to make the game even more interesting. To support these heaps of content, a good interface design is also essential. 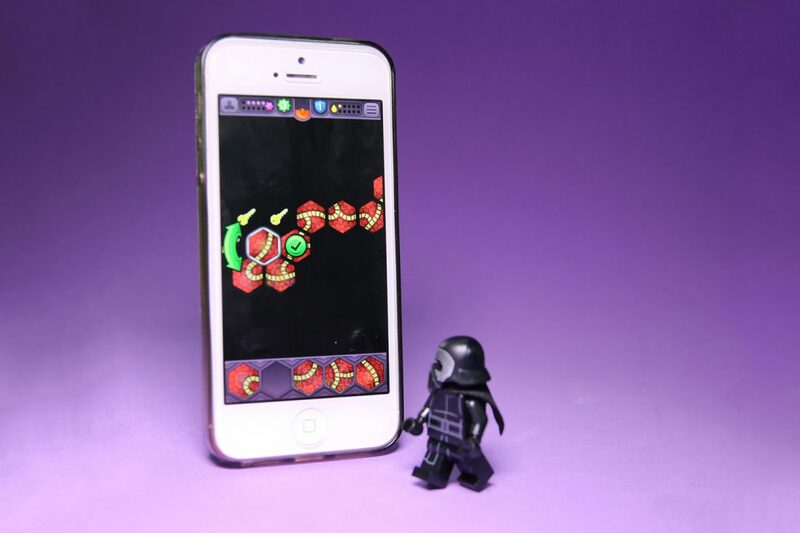 There’s always extra challenge appeared while designing game for smaller screen devices. This kind of design however, is handled perfectly in FMM2016. On iPhone, they put buttons here and there. For the essential action button, they put the bigger one, while the less essential, they group it together in a single group button. On the other hand, for the iPad version, a more wider interface is provided. The good thing is, although FMM2016 is a universal game, iPad and iPhone have different interfaces. So you wouldn’t be packed with empty gigantic screen with button group here and there. I also love the match engine capability. Normally, when you have won several trophies, and you have like the strongest squad member, you should have won any matches easily. However, that theory have been proven wrong in FMM2016. With its latest enhanced match engine, the AI from FMM2016 is adapting the way your team played and work on how to counter your team. If you just use the same tactic, same team instructions, same players all the time, it is guaranteed that you will probably lose against the lowest team in your league. No matter how many times you’ve closed the game and re-load it again, unless you change your tactics and instructions, you will most likely to get beaten by that team again and again. I’ve played so many similar football management simulation games. 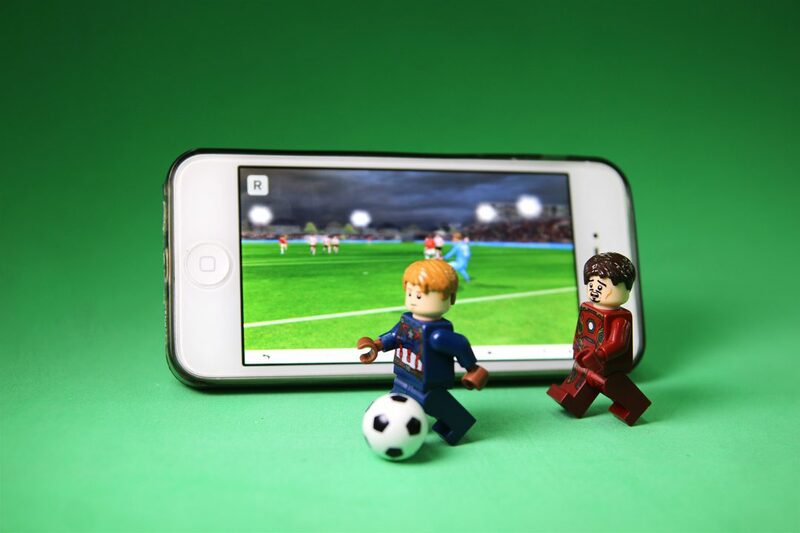 However, the ability to play everywhere with your iCloud without any doubt of battery-loss, plus that many contents inserted inside, has created a football management game you could never imagine. Football Manager Mobile 2016 is truly the best in this area, and I hope all other simulation games will follow this standard. I know that some of you may have never played Football Manager in your life. I put this list not to underestimate your capability as a manger, but to ensure that you won’t make some stupid mistakes that make you say, “this game is so bad, it’s out of balance, and so on”. This game has been tested so many times since the first released, so it’s completely balance. These are a list of things you need to avoid, to enrich your experience playing the game. This list that I have created can be seen also in Vibe Community, a community site focusing in Football Manager Mobile. You can check more advanced tips in that site, however, as for some basic question, I’ve collected it down from you. The complete list can be seen from this article at Vibe Community. From those list, there are some really important mistakes that I’d like to highlight that should be avoided. Start with big clubs. It doesn’t mean that you aren’t allowed to start with small teams. It’s just if you’re a beginner, I’d suggest you to start with bigger clubs or at least club that you know its history. Too many players never ends well. Sometimes it’s too hard to resist buying players that you like. Moreover, if you’re handling team like Manchester City or Real Madrid that has a lot of transfer budget. Nevertheless, buying too many players will always fire back at you. Many players make your players unsettled. The other players at the same position would become unsettled because there are too many players in his position, resulting in his performance and the team overall performance. Sometimes, you just have to stick with the players that have worked together for longer time. Surprisingly, the result would be better too (even if you have a £40M Complete Forward). You need the experience. It is somehow true even if I couldn’t guess the algorithm behind it. But somehow, if you don’t have any experience players and rely heavily only on the youngster, you will lose it. Especially if you’re using the enhanced match engine. On the second half of the season, your squad will run out of their gas and start to break down. Have high leadership player in your squad. Not only that, when you have people with high leadership in your squad, you will be able to avoid the case where your kids is starting to homesick. Homesick player for those who don’t know, will make this player starts to lose his form and plays really bad. Don’t ever tick the Big Club Release Clause. This option means that when a big club, like Barcelona, Man Utd, and such team coming to your player, you won’t be able to reject it, let alone discussing the price. There’s however, a clause, a certain price that need to be fulfilled in order to bid your player. But you won’t be able to negotiate the price. So never tick this option on. What’s the difference between Enhanced Match Engine and Original Match Engine? Enhanced Match Engine is the more advanced match engine that uses physics and complicated algorithms to determine movement, ball flight and touch. This also makes the game smoother and has more realistic highlights. With this enhanced match engine, the game will also plays a lot harder than the other match engine. It has updated tactical game play and take account small things like pitch conditions, weather, player fitness and morale. On the other hand, Original Match Engine will have faster game play, easier playing experience. However, the match will feel a bit static and too repetitive. If you’ve experienced the enhanced match engine, you will know what I mean. Bottom line, if you want more challenge, I’d suggest you choose Enhanced Match Engine instead of the other engine. Inside Forward never works well for me! Yeah! Me neither! At first I couldn’t accomplish anything with Memphis Depay on the left side and Domenico Berardi on the right side. As it turns out, there are several things that you need to know before using IF inside your squad. IFs are always tend to cut inside. They always try to push the ball forward. If you want to use two IFs, use only single FW. Otherwise, your squad will be out of balance. Nevertheless, you can use two IFs along with two FWs when the match is coming to an end and your team is left behind. Ideally, you will only use one IF as a hole striker between your two FWs. You can also use one IF on the side, accompanied with a WG on the other side to give balance to the team. Then if you’re using IF, try to use them as the primary attacker, give them PK taker. This will make your IF, a monster in hunting goals. Why am I seeing new players? These players are called evogens. In a simple terms, evogens are players that don’t exist in a real world. In the previous Football Manager games, these players are called “regens” (regenerations). Evogens replaced players that have retired in the game so the game won’t run out of players. Evogens usually will only appear once the players has retired. So you won’t find Ronaldinho’s evogen until he has retired. More detailer explanations on Evogens and how to find them can be seen from Vibe’s article. Yeps, there are some secrets added inside the game. These secrets will enable your preference to be more ‘cheating’. For example like ‘No transfer windows’ or ‘Sugar Daddy’ that would enable small club able to land player like ‘Lionel Messi’. I have unlocked one of them. It’s called Sugar Daddy. To unlock this, you just have to stay at one club for at least two seasons. Doing all things right so that when you’re viewing Board Confidence, you will see all the bars there turned into green. Then, in your News Section, a foreign billionaire will want to make investment. Now, it’s up to you if you want to accept this fresh money or not. I haven’t been able to unlock all of this, so I couldn’t share with you my own experience. However, there are some friends over at Vibe Community who have compiled some unlock-able guides for you here. I believe some of you won’t choose rich clubs as your starting club. Being able to brag to other players that you’ve beaten Barcelona and Real Madrid in Spanish La Liga is way more satisfying than winning La Liga six seasons straight with Lionel Messi and Barcelona. So that’s why to help you even more with your bragging adventure, I’ve compiled some players that you can approach from Day 1 your journey begin. Don’t worry, these players are FREE! This list is inspired from one of the article in Vibe Community. They have a lot of stuff going with FMM2016, which you guys should check into. Statistically speaking, there are more clubs in FMM2016 that have budget less than €35M rather than those who have more. That’s why, players like me will tend to search for affordable but good players rather than those with sparkling attributes but eat almost the whole transfer budget. These are some players that I think will be suitable for you to consider since they have a pretty good attributes, still hasn’t reached their potential abilities, and affordable. Note: If you’re wondering why is there two values for each player, the first one is the initial value of the player. While the later is the amount of money the club asked for. Yes, the price could be jumping ridiculously far, but that’s the truth. Yes you can certainly aim a more fancy wonderkids like Pierre-Emile Jøjberg, Aymeric Laporte, or maybe Kingsley Coman suits your budget. Perhaps an even fancier player like Paul Pogba? Nevertheless, it won’t suit every clubs budget to buy expensive players like these guys. These guys will cost you around more than €40M. So, I’ll separate these posts into two parts. Wonderkids under €40M and under €20M. Of course you will get what you pay. The ability between these two categories will be a bit different with players above €20M have better stats. Nevertheless, if you’re using them well, their ability will cost you around more €30M when they’ve matured. Note: All the screenshots here are taken in season 17/18 so it’s 3 seasons after. My purpose is to give you the picture of the growth of the players so you will know which one is your target and how they would grow. FYI, I didn’t put all the wonderkids available under €40M here, because I think finding expensive players is a lot easier then the other one. Moreover, you can always check the scouting agency to see these expensive players compete each other in the Junior ranks. So don’t expect to find players like Martial or Depay here. This just a more or less list. On this list, are players that can be bought under €20M. Yes, if you see after three seasons, their stats couldn’t be compared with the players above €20M. However, they still put some pretty good young blood in your squad. FYI, some of these players have moved to another club, so the pictures you see here are not their original club, I’ve written down their original club in the caption.